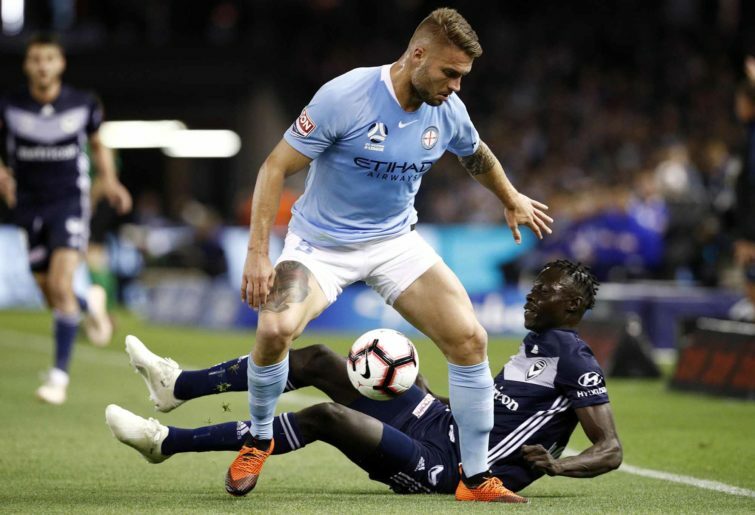 The Mariners – yes, the Mariners – had a win in the F3 Derby and Sydney FC fell to the enigmatic Melbourne City late Sunday. Here are the men that made the difference in Round 22. Even though the Mariners did let a couple through late in the second half, Kennedy was superb throughout and the saving of two late penalties said a lot about the quality of his game. As they stunned the Jets and the entire league, the Alen Stajcic-led Mariners finally showed some resilience at the back and Kennedy marshalled his troops well to set up a three goal advantage. Sure, things slipped late but it was Kennedy who saved the day in the end, with some brilliant shot stopping under immense pressure. While happy to admit that the inclusion of Clisby in the team of the week was not something I anticipated doing that often, credit where credit is due. The 27 year-old from Perth played a cracking defensive game, as the Mariners held on for dear life against a Jets side desperate for points to continue their run towards the top six. He had a few allies at the back and Sam Graham was also excellent, yet Clisby also provided some excellent service to the midfield and was precise with his decision making and passing. Week after week the veteran keeps producing performances laced with experience and craft. The Wanderers have been scoring freely of late, yet Durante’s nous and skill in the box made life exceptionally difficult for the visitors; denying them numerous aerial opportunities and cutting out a host of passes that threatened to pierce the Wellington defence. 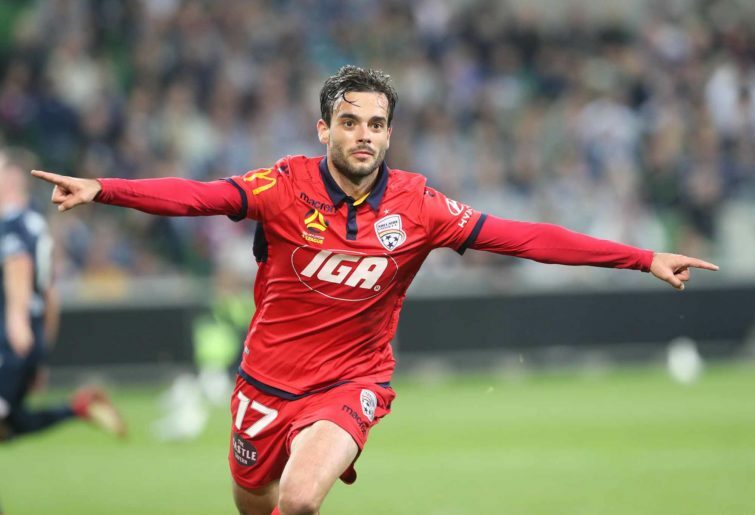 There is no real reason why he shouldn’t play a 15th A-League season and back up one more time for his beloved Phoenix in 2019-20. 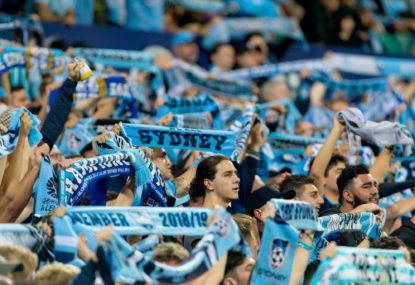 Sydney FC score every week and rarely lose at home. Schenkeveld made sure those patterns were not to continue with his knockout victory over sharp shooter Adam Le Fondre at Leichhardt Oval on Sunday evening. The Englishman may well have not been listed on the team sheet, such was the stifling impact that the Dutchman had over him. 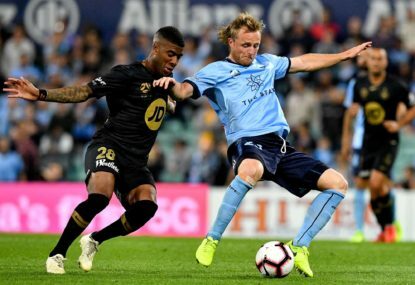 It was another in a long line of brilliant defensive performances from Schenkeveld and it is no wonder that the Sky Blues are sniffing around and hoping to lure him to Sydney next season. When the 26-year-old South African-born defender was picked up by the Victory after five years on the Central Coast, a few eyebrows were raised. There were glimpses of good play on the coast yet little to suggest that Roux would earn a regular spot in the star-studded victory eleven. 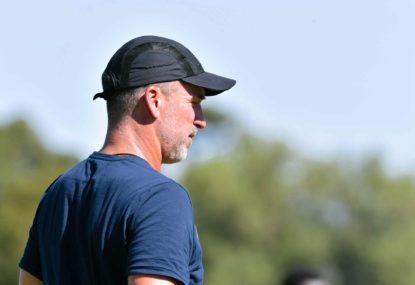 To his credit, Roux has done just that and become an integral part of Kevin Muscat’s defensive plans with 17 matches under his belt this season. Fittingly, he was another Kiwi who played an inspired game over the weekend after the tragedy that rocked New Zealand last Friday. 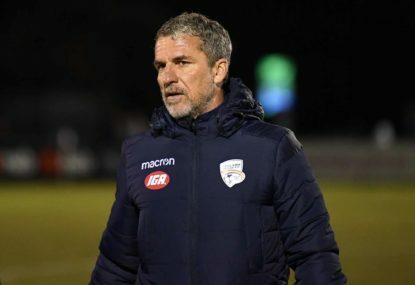 The 30-year-old Spaniard has been consistent this season, as the Phoenix have slowly but surely built respect and achieved inspired A-League results. Sunday night saw his best performance of the season as his Wellington team cut the Wanderers to pieces in the first half at Westpac Stadium. After looking a little wobbly recently, the Phoenix appear to have re-discovered their mojo, with Mandi playing a key role and causing plenty of damage with his astute distribution in midfield. There isn’t a more maligned player in the Victory set up than Hope, with many fans unable to see exactly what he brings to the powerhouse Melbourne club. I’ve put him in the team of the week after watching his play and noting his stats for the match. The 21-year-old from Hobart passed the ball at around 90 per cent accuracy, played forward as his default option and competed well for the ball in midfield. It was good to see some Victory fans appreciate his play, on a night when the Victory got back on track after a sloppy month. For the third successive week, the Reds failed to hit the net legally. Mileusnic is not the answer to the absence of a quality finisher in the box but he is one of the mostly likely sources when it comes to providing quality runs and balls into the area. He was dynamic on the right against the Glory; a team well organised in defence and tough to break down. Mileusnic’s raw speed troubles any defence and along with Craig Goodwin on the left, provided many opportunities that the home side was sadly unable to convert. Central Coast players making the team of the week has been a rare thing in recent times yet Murray well and truly deserves his spot after his best ever A-League game. 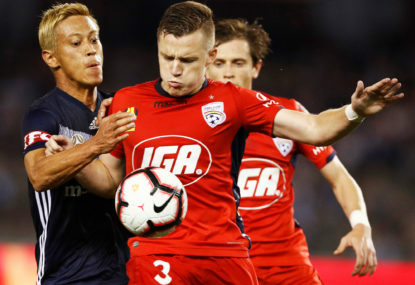 Sniffing about and running of the shoulders of the Jets’ central defenders, the 23-year-old scored his third goal in all competitions for the Mariners and while not a regular scorer at this stage, there are signs to suggest that Murray could become a valuable A-League goal scorer in the coming years. It seems likely that Kevin Muscat sent Barbarouses to an off-season camp where he was starved of the simple pleasure of kicking a ball into a net; such has his hunger for goals been since his return. Barbarouses added his 12th and 13th goals to his 2018-19 tally in the Victory’s hard-fought win over the Roar at Marvel Stadium. It was another crafty display from the little Kiwi and one perhaps inspired by the events in his homeland just 24 hours prior. Whilst not able to add to his impressive goal haul for the season against the Reds on Friday night, Ikonomidis’ name was called more frequently than any player, such was his involvement. Diego Castro and Neil Kilkenny fed him brilliantly on the left and whether the 23-year-old was over-lapping, cutting back inside or causing havoc in the centre of the area, he was the Reds biggest headache on a night when their semi-final aspirations came even further under threat.